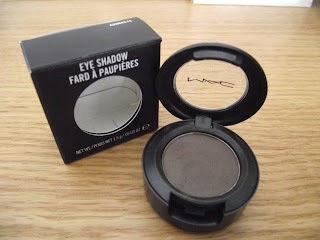 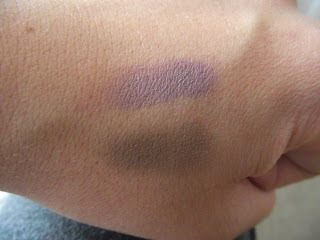 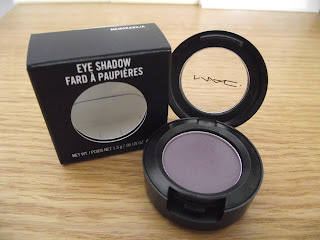 My Mil kindly bought me 2 Mac eyeshadows whilst on her hols :) I`ve used them both together and they look fab ;) I think these colours will be fab for the Autumn. They can be used with so many other colours which is what I like. This is Concrete which is a Muted taupe brown (satin) and isnt as dark once swatched ( see below ) this is a permanent colour.